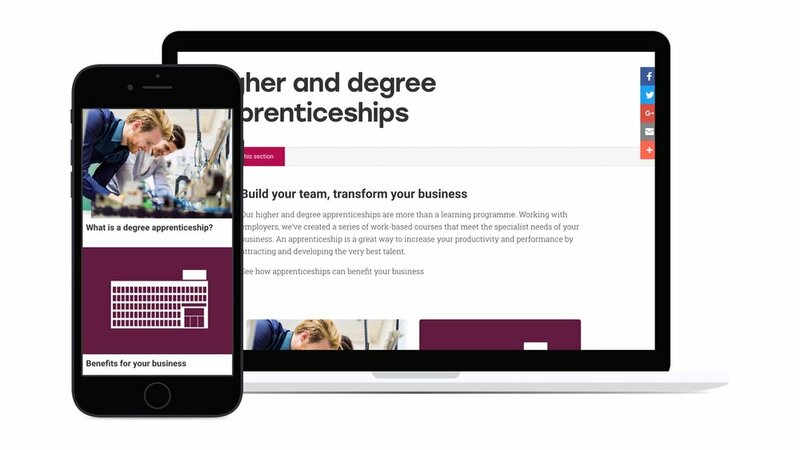 Sheffield Hallam University asked us to develop written and animated content for the higher and degree apprenticeships (HDA) pages of its website. Our task was to revise, refresh and develop new content that would better explain and promote Hallam’s HDA courses and programmes. As always, before we got creative, we developed a strategy. We knew that this was a project about the user journey as much as the content itself. That meant we needed to fully understand how the existing pages were working. Which pages did people visit most? Did any pages include content that could be deleted or replaced? To answer those questions, we carried out a detailed content audit. The process saw us populate a spreadsheet with key data for every page, including visits, bounce rate and page views. We also assessed the copy to gain a picture of where pages worked well and where we could make improvements. At the same time, we began creating animations for a series of short videos designed to explain and promote Hallam’s HDA programme. Our approach was to keep things simple by animating infographic-style icons and important words from the narrative. You can watch an example in the video below. With the content audit complete, we then developed a brand new information architecture. We brought popular pages to the forefront and split content to create new pages, including a ‘Benefits for your business’ page to try and really sell the idea of HDAs to Hallam’s key audience. Finally, we began editorial work on the written content. We made changes to existing pages and developed new material where necessary. Our approach was to focus on benefits, provide clear calls to action and apply the principles of plain English. Hallam’s HDA pages went live with an updated design and using new templates based on our recommendations. 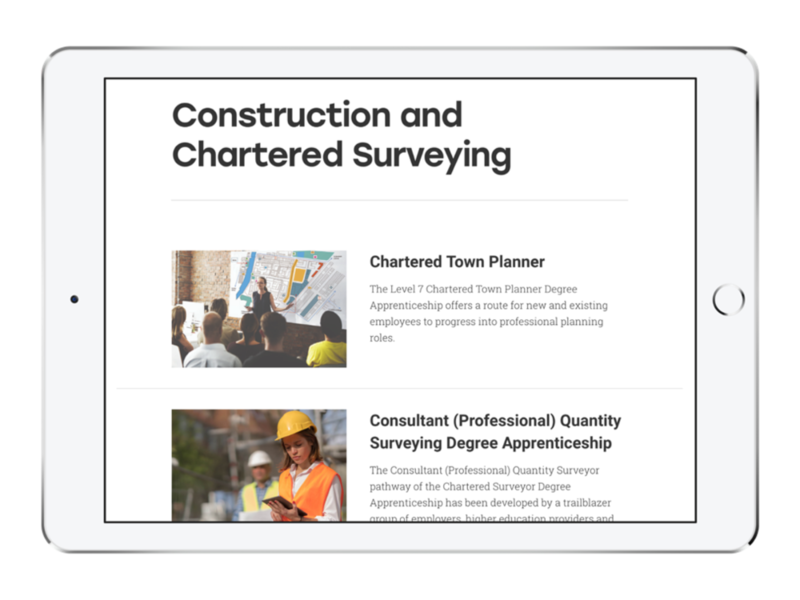 The new information architecture has made the pages more simple to navigate and key details easier to find. Overall, the project led to a more engaging, more consistent user journey across the board.